Last week, I received a good news that I was so excited about. And if you've been following me on Instagram, you might've noticed my crazy and very rare IG posting streak. I was blessed to join the media fam tour of a premier leisure and entertainment resort in Macau -- immersing in its city-inspired beauty, enjoying its electrifying entertainment, and indulging my palate with outstanding food the place offers. 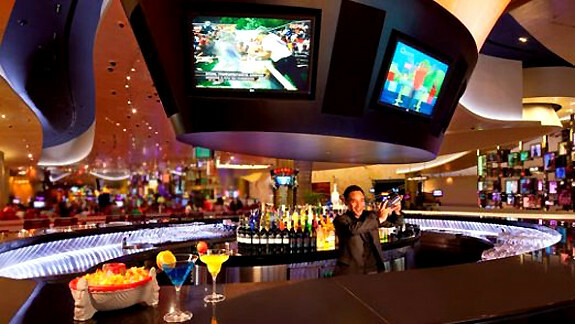 And it's none other than at the integrated entertainment destination of Macau, City of Dreams. 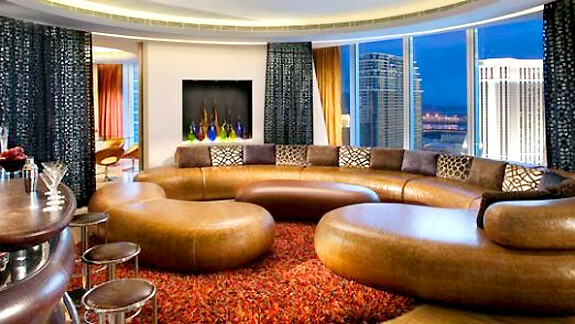 While the Cotai Strip in Macau, where City of Dreams is located, houses a good number of hotels, City of Dreams Macau is actually already a home to three -- Crown Towers, Grand Hyatt Hotel, and Hard Rock Hotel. 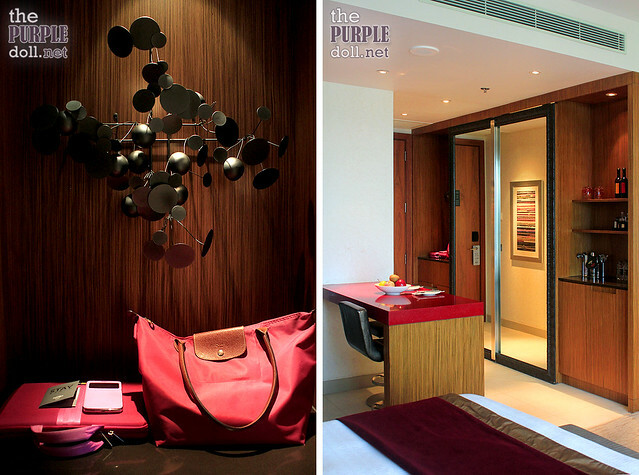 If it isn't that obvious yet, I got to stay at the latter, which while not as luxurious as the other two, is still as chic, stylish and indulging. 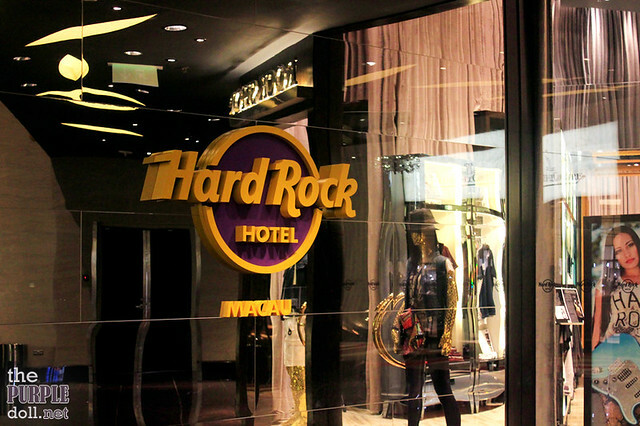 And actually, among these three, I'd say Hard Rock Hotel oozes with the most attitude. If the mere sound of its name or its widely-known logo aren't enough to convince you, maybe its promise of a rock 'n' roll-themed lifestyle (and hopefully, my blog post) can. So our group of four bloggers and one media personality arrived at City of Dreams Macau last Wednesday. While I was as giddy as a little kid who'll be going to Disney Land, I got to admit that at that time, there were a lot of things in my mind. And let me tell you, the words "excited" and "anxious" (about work and other personal matters) don't leave a good feeling when combined together. Or, at least in my book. 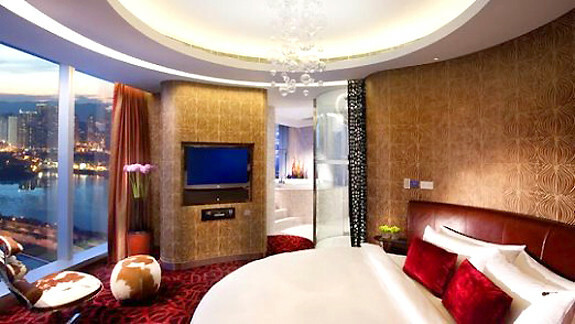 But the sight of this room, especially that king bed which I have all for myself, immediately took my worries away. Coupled with the warmth and hospitality of everyone I've met the day we checked in, the storm in my mind sure started to calm down. "I'm here for (depends on how you look at it) work and leisure, and I'll enjoy myself," I thought. 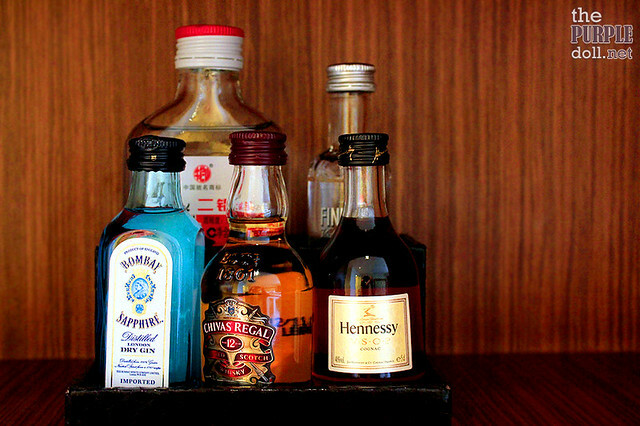 Be your own bartender with these bartending tools! Shameless bathroom selfie is shameless. I'm in love with the bath and body toiletries' sweetgrass scent... So soothing! While it was my first time in Macau, I've never felt more at home. This Standard King Room at Hard Rock Hotel was really comfortable! 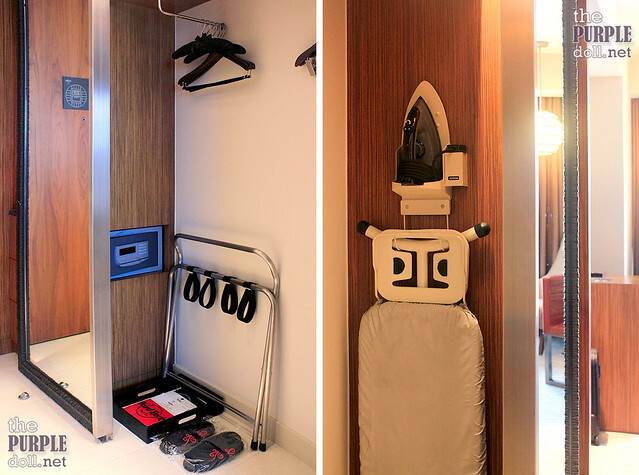 Spacious, especially for one, very clean and even smells nice. Spending time inside the room doesn't sound so bad too. There's the audio and/or video entertainment, an engaging "Mix-Me" station, fast and reliable complimentary WiFi, and a tub for that nice and relaxing bubble bath. And don't get me started with the bed! It has a bedding called Sleep Like A Rock® for a reason. 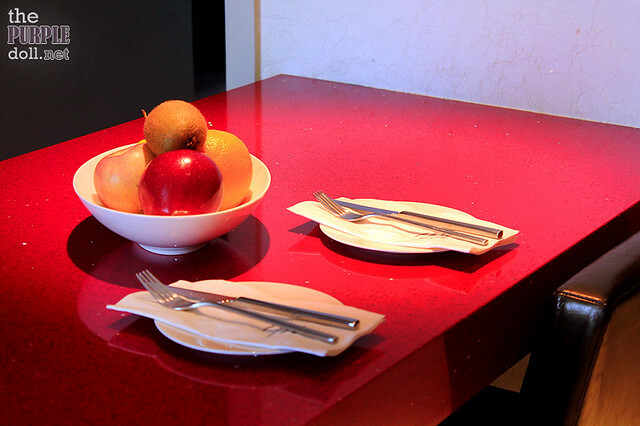 I didn't get to check out the other room types, but these photos from the hotel's website are enough to convince me that Hard Rock Hotel is sure a gorgeous place to stay at. 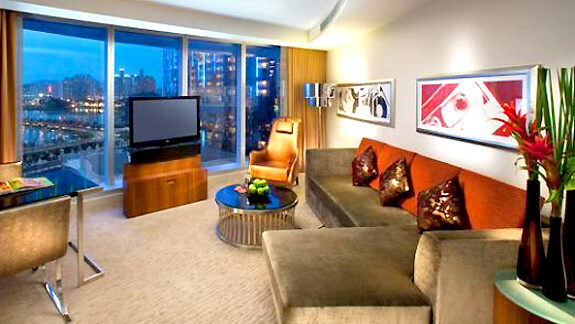 The Corner Suite is already beautiful, but the Rock Star Suite is really something! If only I were swimming in cash, I'd definitely check myself in and throw a hotel room party! 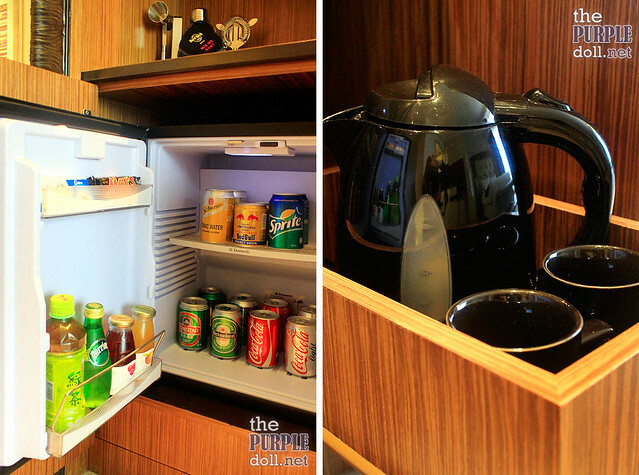 Okay, from this point onward, I'll share with you the amenities and even restaurants and bars inside Hard Rock Hotel Macau. Truth be told though, I wasn't able to personally check them out, so there's a dash of regret here, if you can't tell. 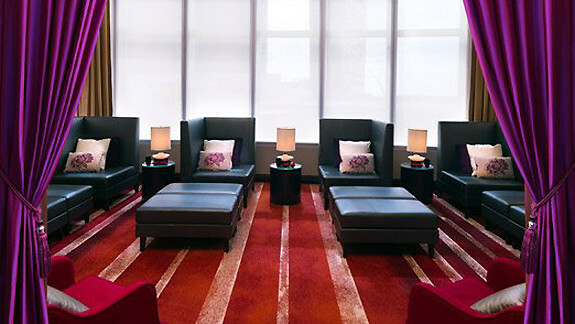 While I was very fortunate to have experienced a super relaxing massage at Crown Tower's Crown Spa, which I'll blog about soon, there's no denying that the Rock Spa at the hotel's 3rd floor seems like a very nice place to get pampered. 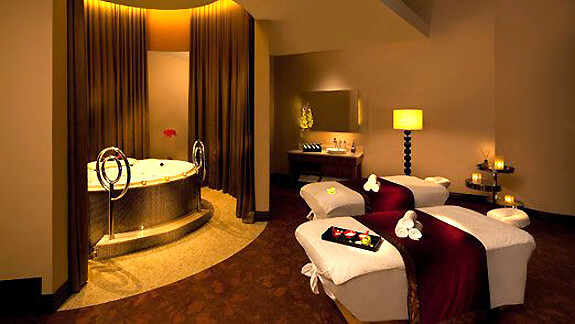 They have single rooms and couple's rooms equipped with jacuzzi, sauna and their own washroom, where one can enjoy massages, body treatments and facials done by trained therapists. 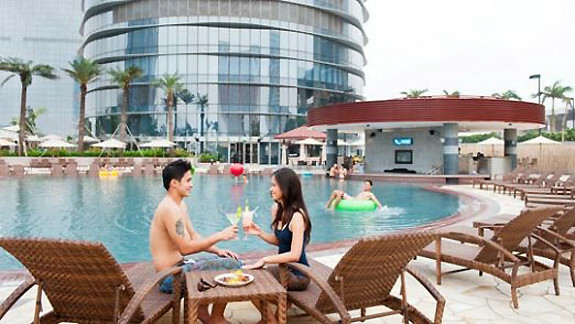 Also at the 3rd floor is Hard Rock Hotel's guitar-shaped heated pool that even has a jacuzzi. Even though I dread the thought of myself sporting a bikini (Yup, I'm self-conscious like that!) I was really, really tempted to bare it all here just so I can enjoy this awesome-looking pool. Too bad though I decided to trade my pool trip with a few more hours of sleep, which I thought is what I wanted even more at that time. Oh, and if you're curious, there's also a fitness center at the 3rd floor. The whole complex of City of Dreams is sprawling with restaurants, cafes and shops, and Hard Rock Hotel also has its own set guests and even visitors can choose from. 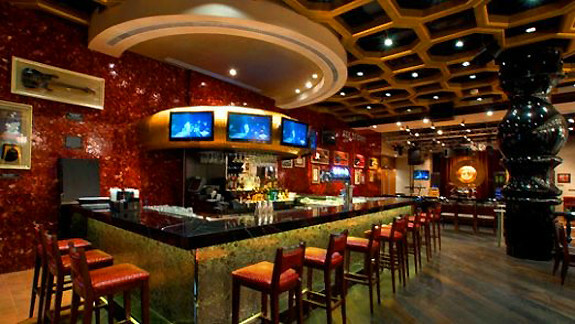 Located at the ground floor is the R Bar which is Hard Rock Hotel's own lobby lounge. 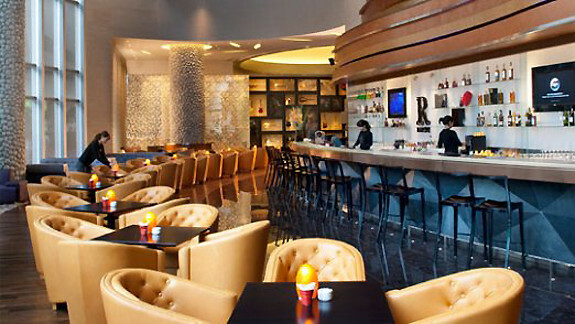 Unlike most lobby lounge I know though, R Bar doesn't feel like a laid-back cafe, but a laid-back bar (duh!) instead. And they serve international and pan-Asian favorites on top of the expected bar chow and cocktails. A pool would be too barren without a poolside bar, so to cater to guests wanting a bright-colored drink with fancy garnish in their hands while they lounge beside the pool, there's Wave, which serves international favorites, light snacks, barbecue and an array of drinks. While City of Dreams has its casino at the ground floor, Hard Rock Hotel also boasts of its own smaller-but-nice casino at the second floor. And beside it is Flame Bar, the hotel's tiki bar that carries an extensive rum selection, and serves cocktails in collectable tiki mugs. I would've really loved to visit the Flame Bar, though I don't drink much. 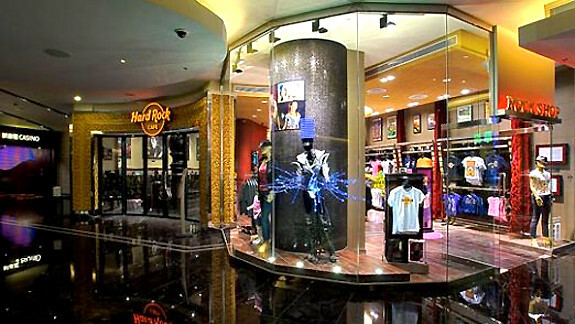 Also located at the second floor is Hard Rock Cafe, the place-to-be should you crave for authentic American food with live music, on top of its collection of precious rock ‘n’ roll memorabilia. But if you want to take a piece of Hard Rock with you, then there's the Rock Shop beside it, selling souvenirs and knickknacks with rock 'n roll attitude. 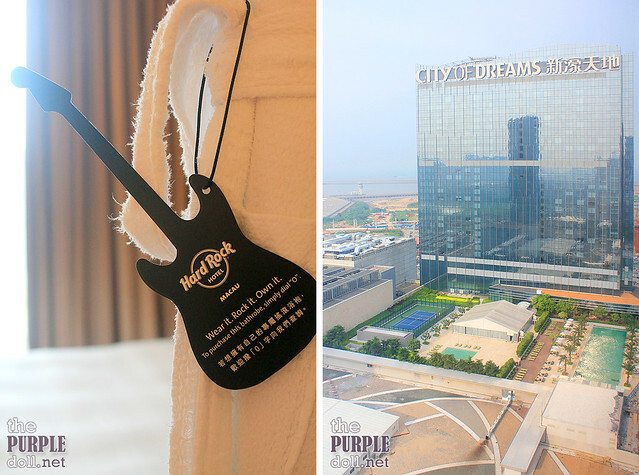 If there's one thing I really regret during my stay at Hard Rock Hotel Macau, it's not checking out this one. The spa, the pool, the restaurants, bars and shops -- they all make me feel quite regretful. But I knew of their existence, and it was my decision to extend my affair with the Sleep Like A Rock® bedding than visit them. However, with this one, I was totally oblivious. I didn't know much about Sound Of Your Stay™ until we checked out. 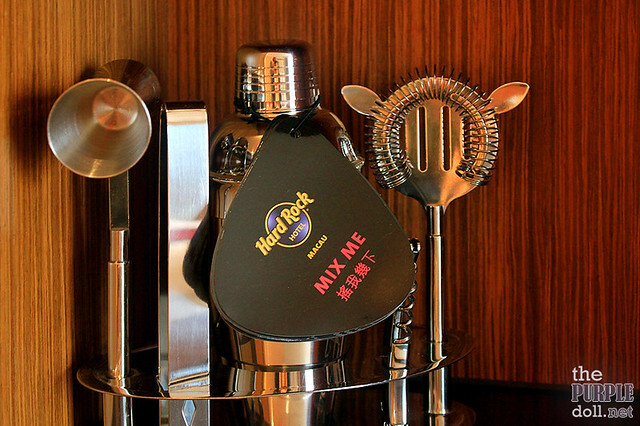 Since Hard Rock as a brand is music-oriented, it's just natural that the hotel also boasts of music amenities. And Sound Of Your Stay™, it is. A free all-encompassing music amenities program that gives every Hard Rock Hotel guest access to experiences you can't get anywhere else but here. And these three are reasons enough to make me cry that I missed them! 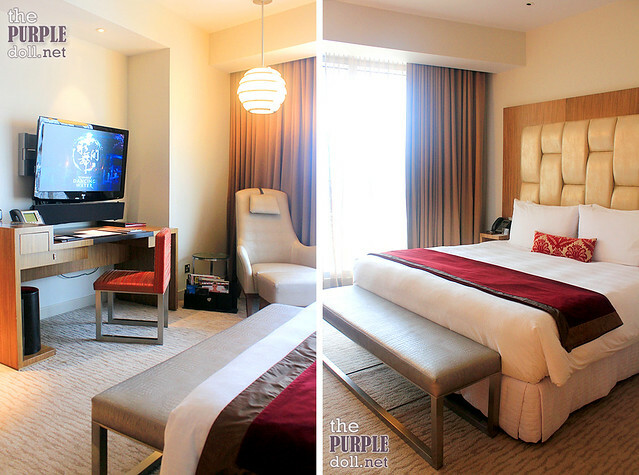 If only I knew earlier that a quick call to the concierge can give me an awesome-r experience at Hard Rock Hotel, I definitely would've made full use of it! City of Dreams is such a fun place to be (will be posting a separate blog about it), and I'm glad I was able to experience it. But I think my stay was made even more memorable because of the comfort and novelty the Hard Rock Hotel so generously provided. 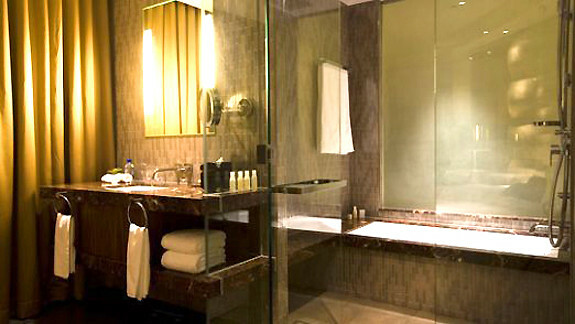 The room itself became my safe haven; gotta love the ultra-comfy bed and the tub... Oh the tub! 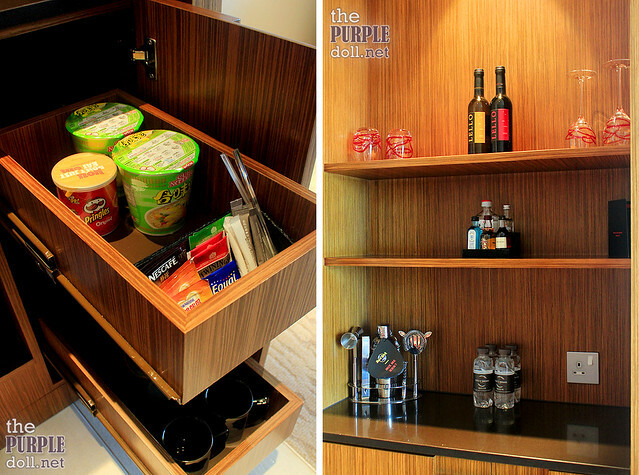 And the amenities, while most of which I wasn't able to make full use of, are enough to convince me to choose Hard Rock Hotel when I visit Macau again. You're so lucky to have had this once-in-a-lifetime experience. 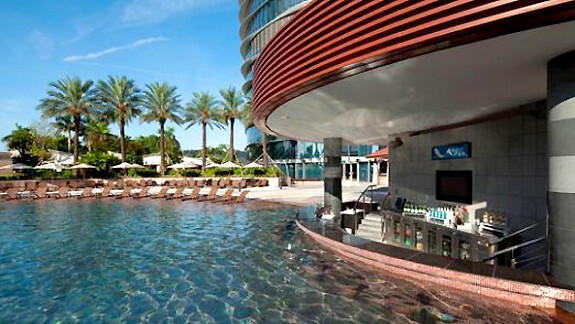 Hard Rock Hotel Macau rocks! It would've been more "once-in-a-lifetime" if I was able to borrow the DJ controller and a Fender guitar for free.. XD Haha! But yeah, Hard Rock Hotel really rocks! Wow! Sosyal!!! I hope I'll have the privilege to be there soon! Visit Macau when you get the chance! 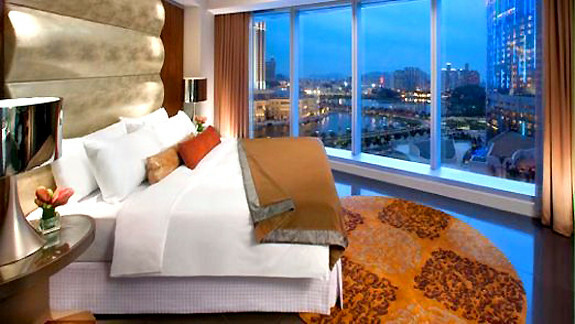 And don't forget to drop by City of Dreams Macau, and syempre Hard Rock Hotel! ;) BUT, if it makes things easier, we'll have a City of Dreams Manila na rin this year! Woot! Omo! That's so nice! & you're so lucky too! Hahaha i've never been outside the country and if I will, Macau is one of my destination. That Hard Rock hotel sure will rock your world~!! The rooms are just so cozy and well, rock! Thanks Gellie! Actually, even if I don't see the photos of the rooms, their "Sound of Your Stay" program is already enough to make me decide to book there. Haha! What a lucky girl! I would stay in that room the whole day hahaha I love the king size bed. I would've stayed in the room all day too if we didn't have an itinerary! XD Haha! All I can say is WOW! 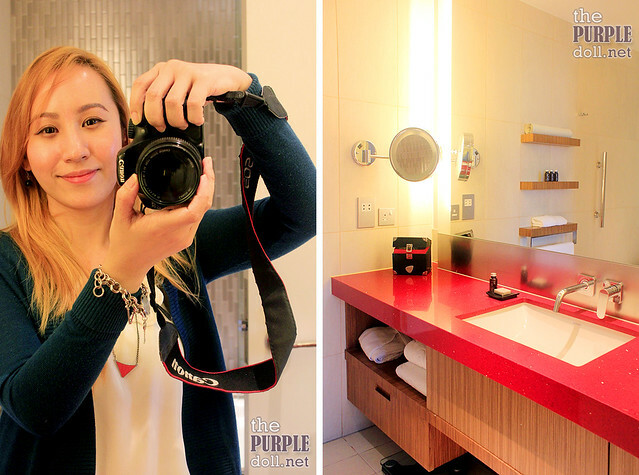 Lucky to visit Macau and stayed at Hard Rock Hotel :) The hotel is so posh, I love your room. If I'll be staying there for free, I could not ask for more! You rock...stay cool and blessed as you are! Thank you for dropping by my blog, Annie! :) Checking out your blog too. Cheers! Nice and helpful article. 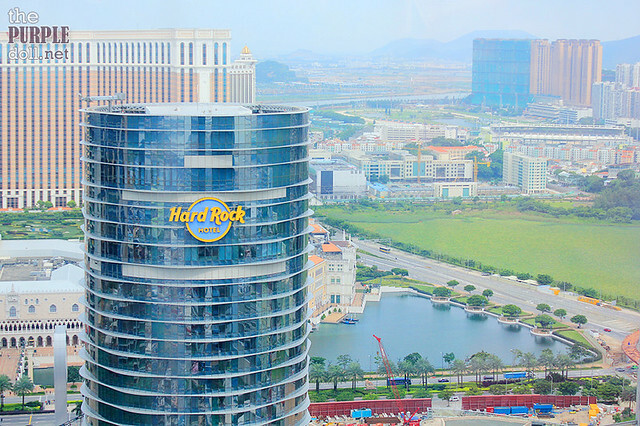 I've been there in Macau last 4 years ago with my family but I think Hard Rock hotel is not yet constructed at that time. I love the Venetian too it's one of the nice place to visit in Macau also. Thanks for sharing this nice article.